Just in time for the (chromatic) holidays - long awaited Metaphrase is now available! 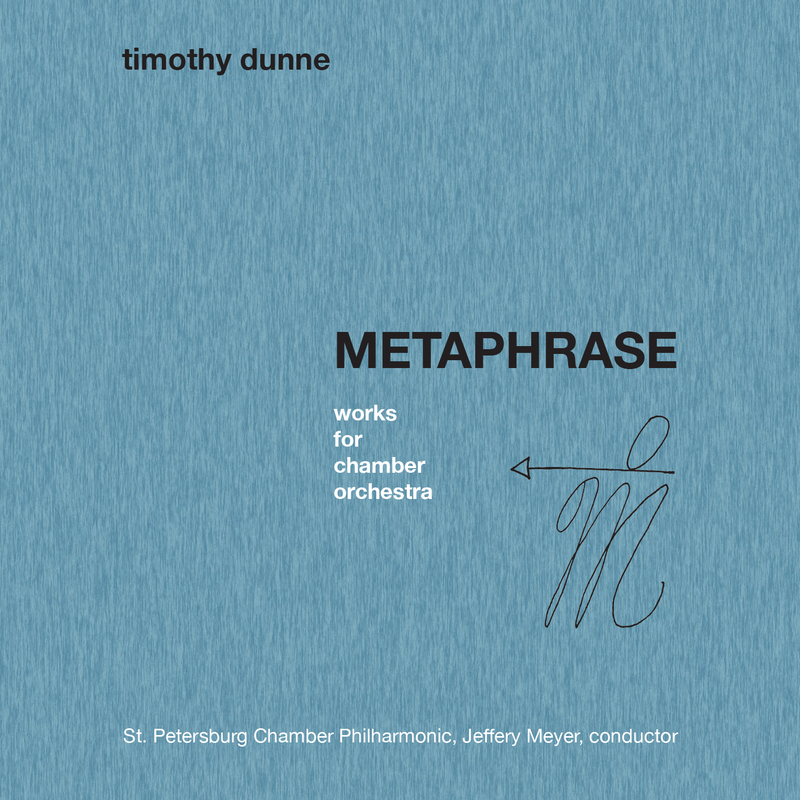 https://www.innova.mu/albums/timothy-dunne/metaphrase 2 years 4 months ago. Arrived today from Innova Recordings! At long last..!! 2 years 8 months ago. Pleased to announce the completion of my album, METAPHRASE, on the Innova Recordings label! The physical cd - with liner notes and artwork etc. will become available on the release date this coming November 18th as will a downloadable version through iTunes. To my supporters and friends I extend my tremendous gratitude.. 2 years 9 months ago. http://www.kickstarter.com/projects/284846199/timothy-dunne-world-premieres 5 years 2 months ago. Recording Piano Concerto with pianist James Giles, conductor Jeffery Meyer and the St. Petersburg Chamber Philharmonic. Nov. 25th and 26th 2013. 5 years 4 months ago. If you’ve never been to St. Petersburg, Russia, it can be difficult to describe its particular strangeness; the slightly otherworldly quality captured so well by authors from Gogol to Dostoevsky to Colum McCann. When New York native Timothy Dunne went to Russia to study with Sergei Slonimsky at the State Conservatory of St. Petersburg, he found its “otherness” to be an ideal space in which to shift a career based on performance to one based on writing. There, he had to work through different musical, cultural and linguistic challenges, ultimately crafting works The New York Times would call “strikingly written.” His innova Recordings debut, Metaphrase, is a collection of those works. The album’s title comes from the term for a creative chain reaction by which one artwork -- literary, musical or otherwise -- inspires a conscious re-telling or re-fashioning. This concept opens the album with Braid, a metaphrase on Dunne’s own Ribbon. It comes to the fore in Margarita Metaphrase, written in appreciation for Slonimsky and appropriating music from his 1972 chamber opera based on Mikhail Bulgakov’s novel, The Master and Margarita.